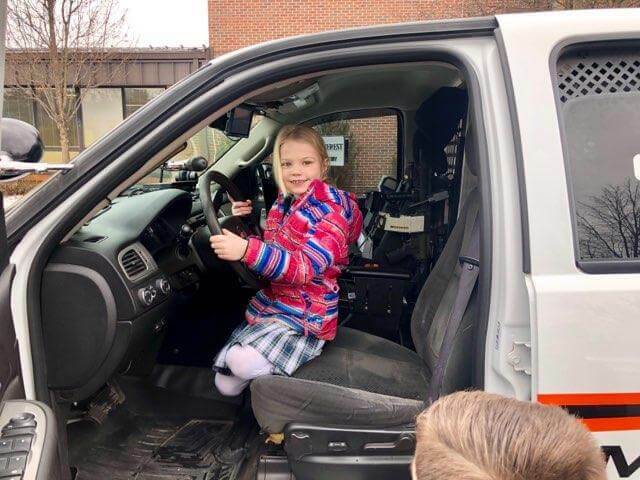 Junior kindergarten learned all about community helpers during the month of January. 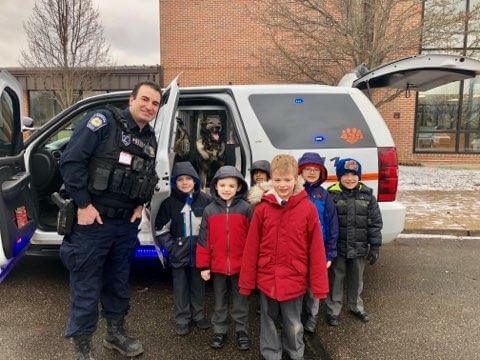 Mrs. Reichert’s class received a special visit from a local policeman and his K-9 friend. 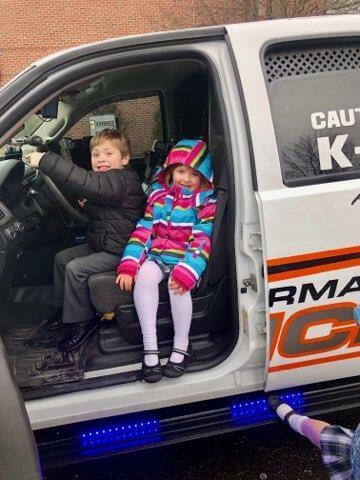 Officer Dominic Vicari, K-9 officer and Everest parent, dropped in on the junior kindergarten and kindergarten classes with his police dog, Atos. 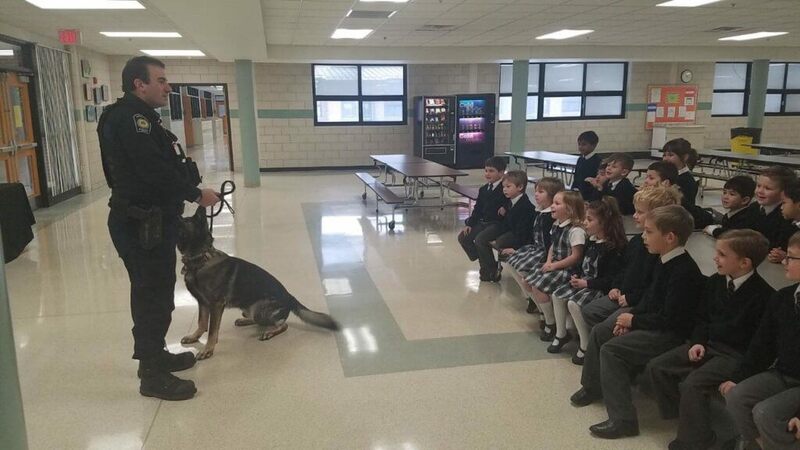 The students saw Atos demonstrate his duties, which include tracking and searching. 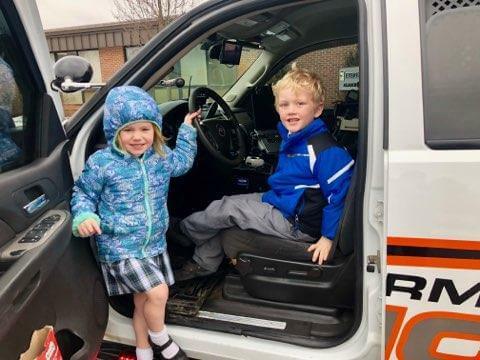 Atos’ tracking training is used to search for lost people and wanted persons. 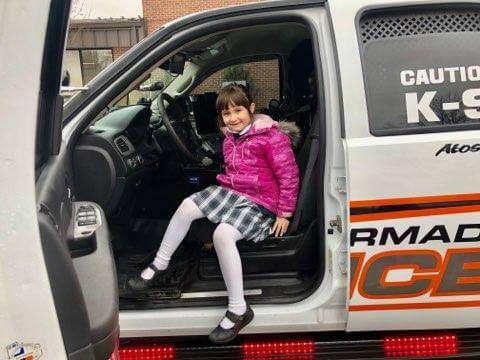 The students were also able to take turns sitting in the driver’s seat of the police car. 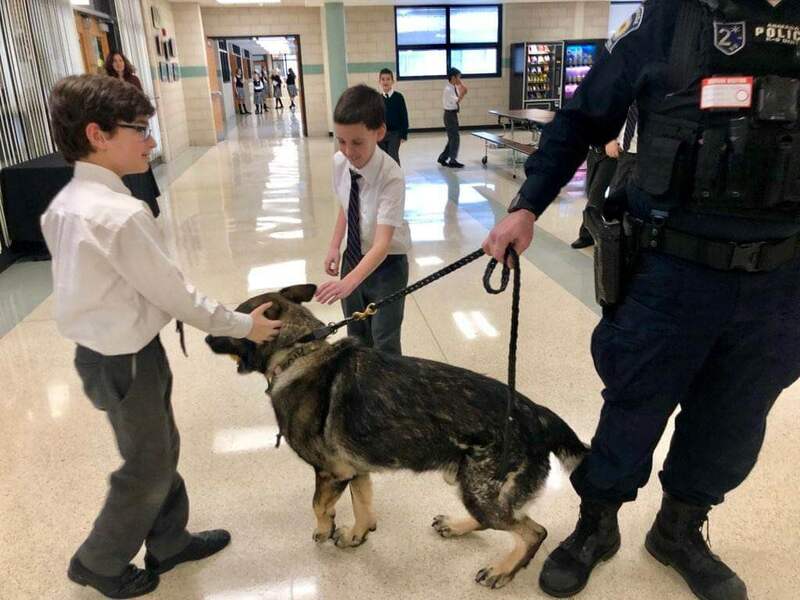 Officer Vicari gave each student a K-9 Atos card to remember this special day!